Ram Charan is a medical student? 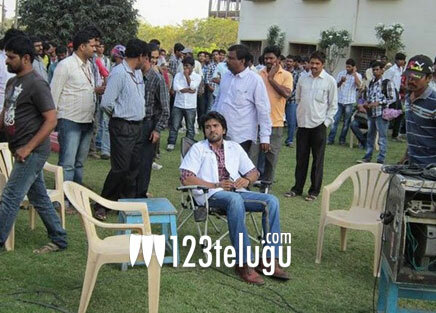 Is Mega Power Star Ram Charan Tej a medical student in his upcoming film ‘Raccha’ ? The talk in Filmnagar seems to support this argument. Ram Charan and Tamanna are reportedly portraying the roles of medical students in this film. Sampath Nandi is the director of this movie and shooting is currently on near Tirupati. Mani Sharma is scoring the music for this film and Raccha is being made on Mega Super Good Movies banner. The film has some superb action sequences that were shot extensively in China, Bangkok and Sri Lanka. The movie is being readied as a complete action entertainer and Charan is very eager to score a hit with this movie. He escaped an accident while shooting for the movie in Goa. Tamanna is reportedly going all out in the glamour department so one can expect a visual feast from her once more. The movie is being targeted for a March 2012 release.